Thanksgiving is almost here and I don't know about you but I'm hungry! When it comes to Thanksgiving, I always love seeing how everyone sets their table. 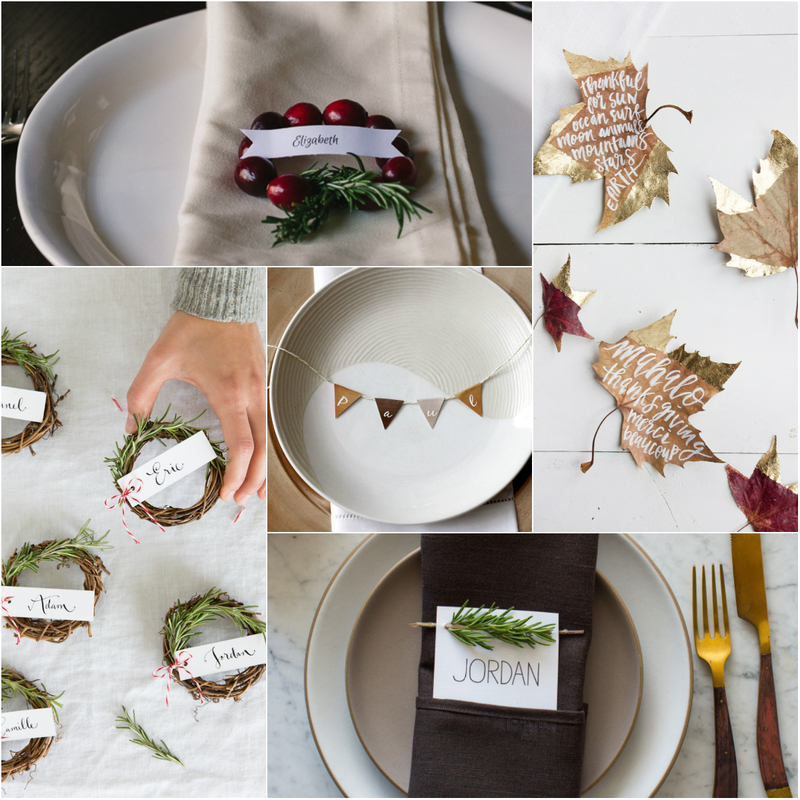 For the host, Thanksgiving can be stressful, but I found these 6 Easy Thanksgiving + Christmas Place Setting Ideas - that are all DIY and super inexpensive to make! 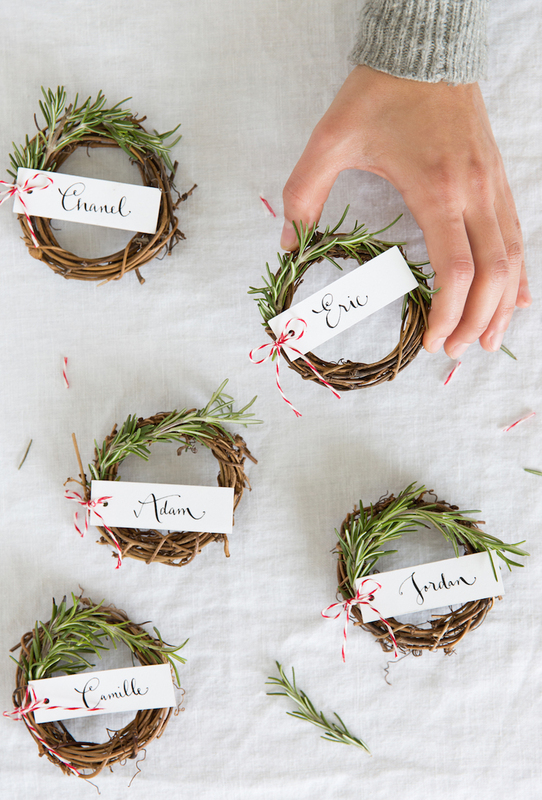 Rosemary Wreath Place Cards - I love this Christmas table setting idea! It's relatively easy and such an elegant way to dress up the Christmas table! 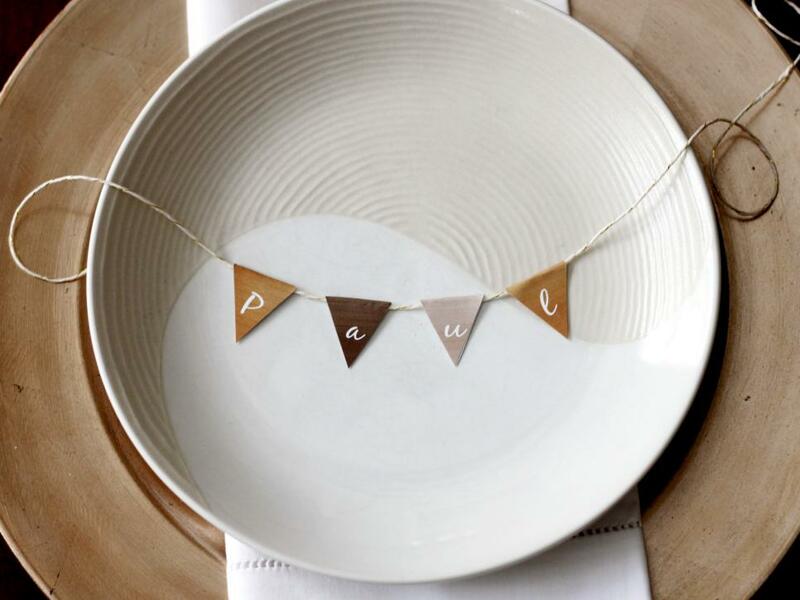 Thanksgiving Place Card Buntings - This adorable idea adds an extra touch to your Thanksgiving table setting. I love the personalization of the bunting cards. 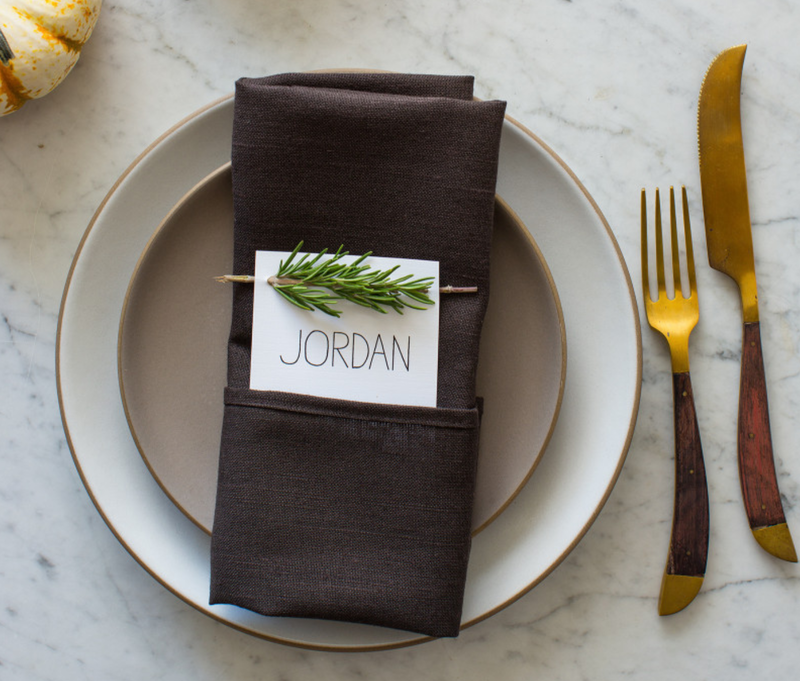 It's really the little details that make such a big impact when it comes to table settings. Gold Dipped Leaves - I adore these gold dipped leaves! They make such a simple but elegant statement for your Thanksgiving table. 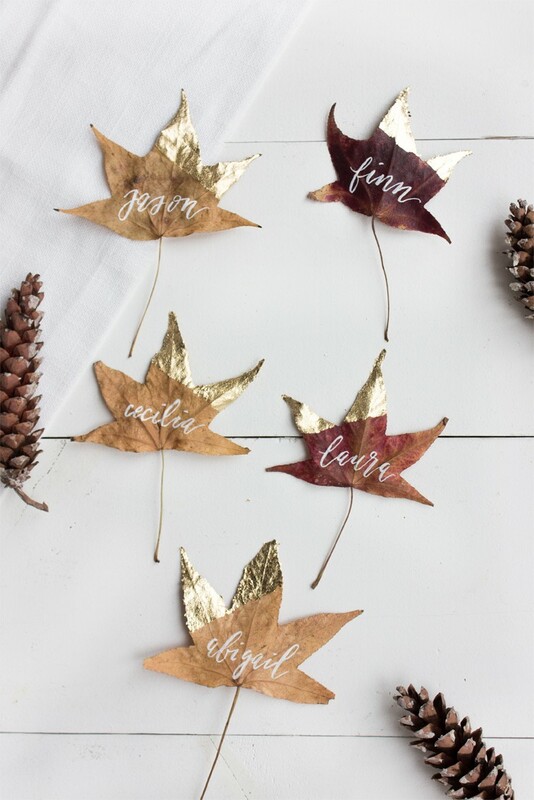 Write your guests' names on each leaf, or write a note of gratitude on them and sprinkle them around the table. There are so many options here! 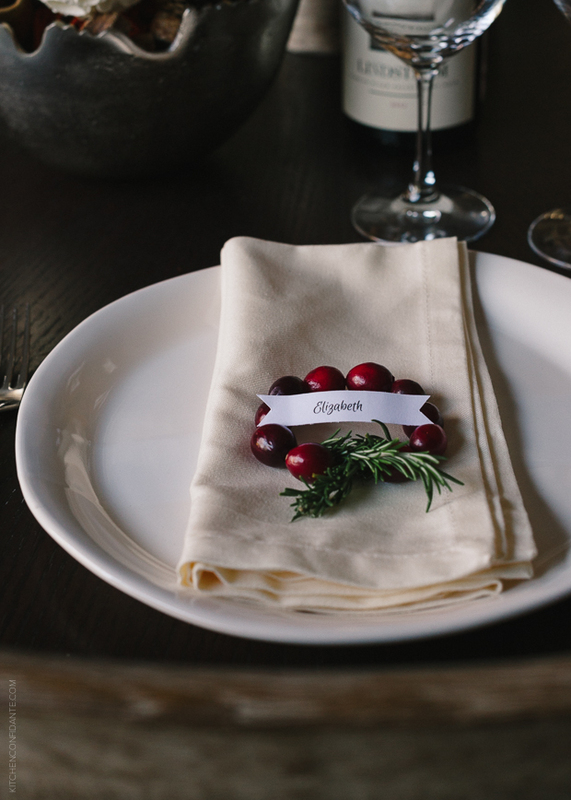 Rosemary Sprig Place Cards - When it comes to simple Christmas table settings, it doesn't get any easier than this! Grab a piece of cardstock and some Rosemary from the market, and you are set! Cranberry Wreath Place Cards - These cute cranberry wreath cards are one of the prettiest Christmas table decorations! I could see this working for almost any Christmas table setting! It's easy, gorgeous and just altogether lovely. The wreath place cards are so cute! Love that idea. The little wreaths are SUCH a cute touch, lady! These are really adorable dear! Great rustic ideas, thanks for sharing!